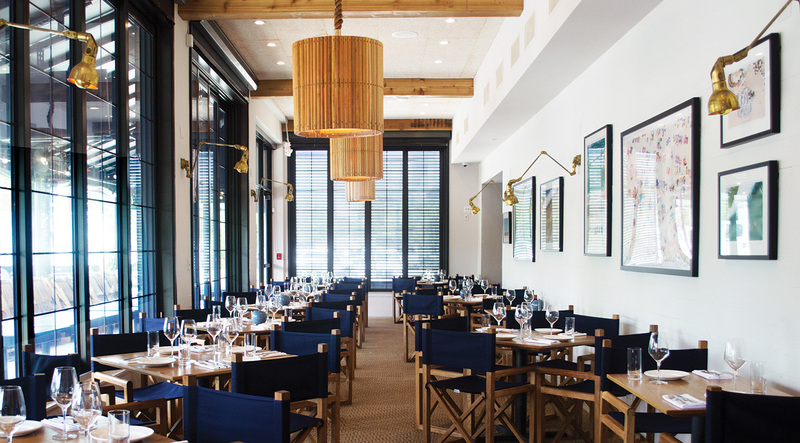 From capricious seafood creations like carpaccios to crudos, Chef Brandi Key, has spun the seafood-restaurant scene on it’s head with her globally-influenced fare at Houston’s swank restaurant, SaltAir. She created the menu with goal of establishing a new original for seafood, taking cues from the Gulf, as well as Houston’s own diverse, multi-cultural palate. 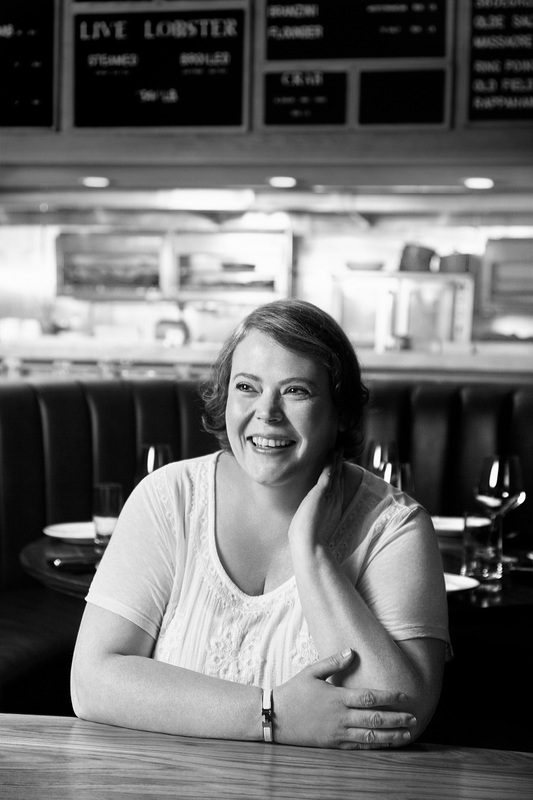 “I want you to be a little surprised whenyou get here,” offers Chef Brandi Key. “We always wanted to do a seafood restaurant. Being here on the Gulf, everybody loves seafood. 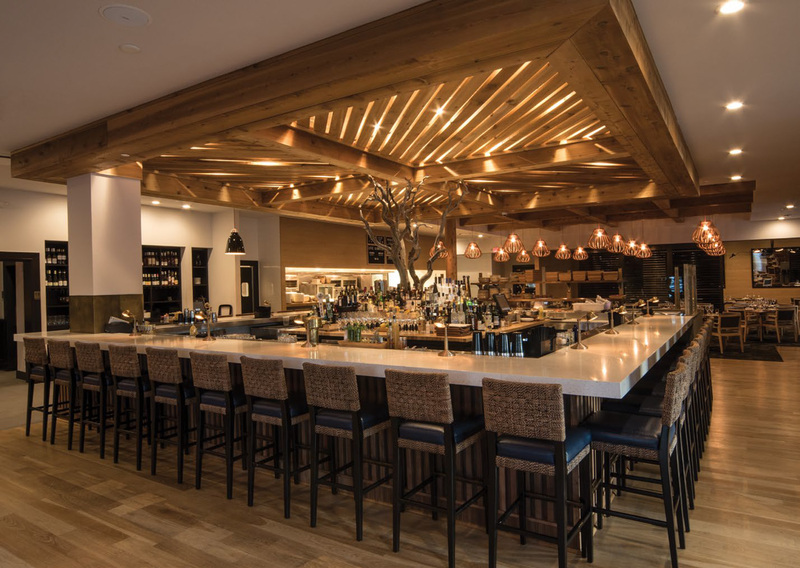 But we didn’t want to copycat [that standard].” Boasting a warmly-lit 28-seat raw bar, anchored idyllically by a exotic Birchwood tree, SaltAir offers a dining experience sure to linger into the evening. We had a chance to chat with Chef Brandi and delve into her creative process here as Executive Chef. When did you first know that you wanted to become a chef and work in the food industry? I didn’t really know that I wanted to be a chef. I was supposed to go off and be a career woman. My sophomore year in college, I had the opportunity to go to New York and really got to see some very cool things in the food industry. One day a friend told me about an opening for a position at a restaurant. It was Pappadeaux, and I walked in and the guy was like, “You have a business degree and a double major, double minor with accounting and finance, and marketing? Why do you want to work at a restaurant?” I just got bit by “the bug” honestly. I grew up cooking, but I never thought that I would do it in an actual restaurant setting day in and day out. But as soon as I walked in, that was it. Can you describe what the creative process has been like in your experience working with SaltAir and partnering restaurants that you’ve opened? There’s always multiple layers for us as a group. I am one piece of it and that is what I’m a specialist at. For the restaurant itself, we wanted to create an ambience that was very comfortable and inviting, that you could dine in for hours. There’s also a creative process that happens with the kitchen where I actually draw out kitchen floor plans according to equipment needs for the specific type of cuisine being prepared. And then there’s the menu process. I spent a good four to six months on the menu here, really hashing through different ideas. So we spent hours on these dishes, thinking about every component, every layer that could be fit into the cook line without compromising quality or freshness. Do you have a favorite signature dish that you like to prepare? Here at SaltAir, I love the octopus carpaccio. That one’s really good. The other thing that I really like here is our whole fish because I think a lot of people are still intimidated by a whole fish because they’re terrified of their dinner staring back at them. For me it’s special if I can prepare a dish for you and you eat it in it’s entirety. If I can make it easier for you to dig in and eat a whole bronzini, then I know I can get you to eat a whole flounder or whatever else may be out of your comfort zone. So you feel responsible in a way to educate your consumer? Honestly, any time somebody asks me what is it that I do, I will always tell them that I teach. I teach more than I do anything else. I teach the chefs how to be good cooks. I teach the managers how to be good managers. I teach financials how to actually run a profitable business. I teach guests how to eat. And I think you’ll find that most chefs are good teachers. We have to be able to get what we’ve envisioned in our head, manifest it, and then instill that same passion and process into someone else. What challenges have you had to overcome in pursuing your dreams to become an executive chef? I think one of the biggest challenges has been understanding the physical demands that happen in a restaurant. It’s a lot of long hours, and a lot of time on your feet. I manage a lot of different people and different cuisines, so I have to keep myself organized in order to get from A to B. And what sorts of cuisines are you inspired by right now at this moment? What’s great about SaltAir is that it allows for a lot of creativity. I love the Cape and what fish are available from that region. The Pacific Northwest is really fun with totally different type of environment, and different products that can be sourced for us. I’ve always enjoyed the Mediterranean, and have been inspired by Northern African and Middle Eastern flavors. What’s the best piece of advice that you received in pursuing your career? People are always saying to me, “I want your job! how do I get your job?” If you’re interested in the work and what we do every day, don’t be doing anything else. For instance, don’t go to school for a business degree if you really want to be in the food industry. If you really want to cook, then you need to come get a line-cook position and see what a line’s like. And if you get bit by “the bug” and you love it, then you need to keep doing that. I think the most important thing for young people right now coming into this industry is making sure that they understand what that good basis of technique is because this business can have a lot of “fluff”. You need to know how to tourne a carrot, not because I’m going to ask you to tourne a carrot, but because for thousands of years, all these people who’ve been setting the path for what we do today tourned a carrot. What chefs do you admire right now? I think, collectively-speaking, I admire the chefs in Copenhagen have helped to really push some very interesting dishes that are going to continue to happen. Most people only think about Rene Redzepi at Noma and he’s fantastic! However, some of those restaurants there have lived longer than Noma’s been on the map. Here in the United States, I’ve always admired Cindy Pawlcyn. She’s one of those old school people that started a business in the middle of Napa Valley, before the Napa Valley was the Napa Valley. Now Mustards Grill is an iconic place. She really understands the whole art of taking care of people and making people feel special simply by providing good food without the “fluff” factor– just the true art and nature of cooking. There’s so many, I could go on and on. Houston is such a foodie town. There’s so much competition with restaurants. How do you set yourself apart? is like family to us. It’s a little bit easier for us because we listen and talk to them like family. They actively give us feedback. This allows us to always be adapting, making changes to ensure that things are good. We know how to talk and react to people, and give the people what they want. We don’t rely on attention- getting strategies or food-prep techniques to attract our customers. At the end of the day, everything that happens in these four walls is the only way that I can truly dictate if we’re going to be successful or not.